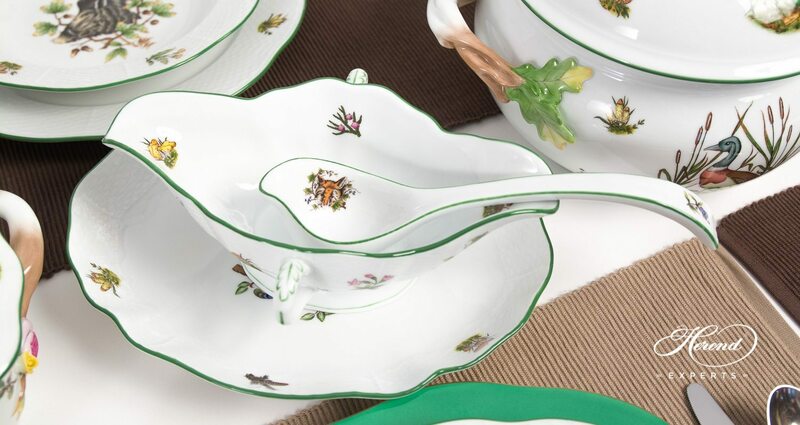 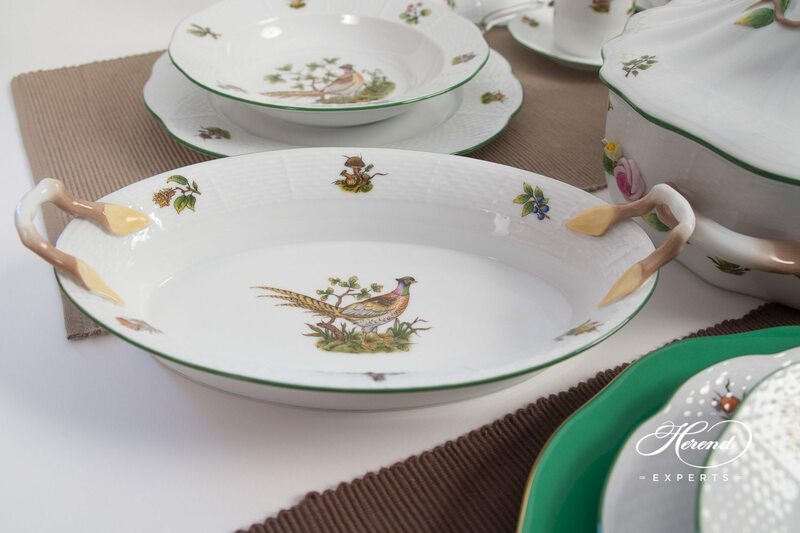 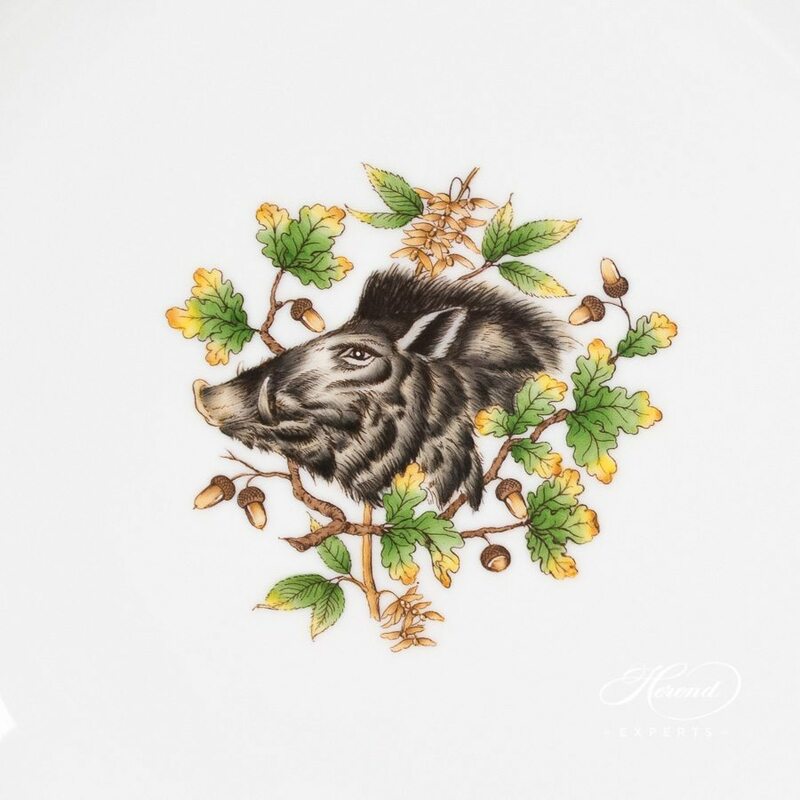 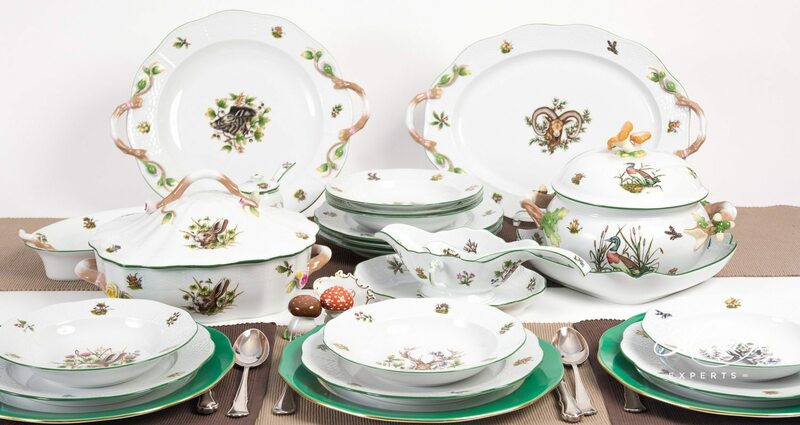 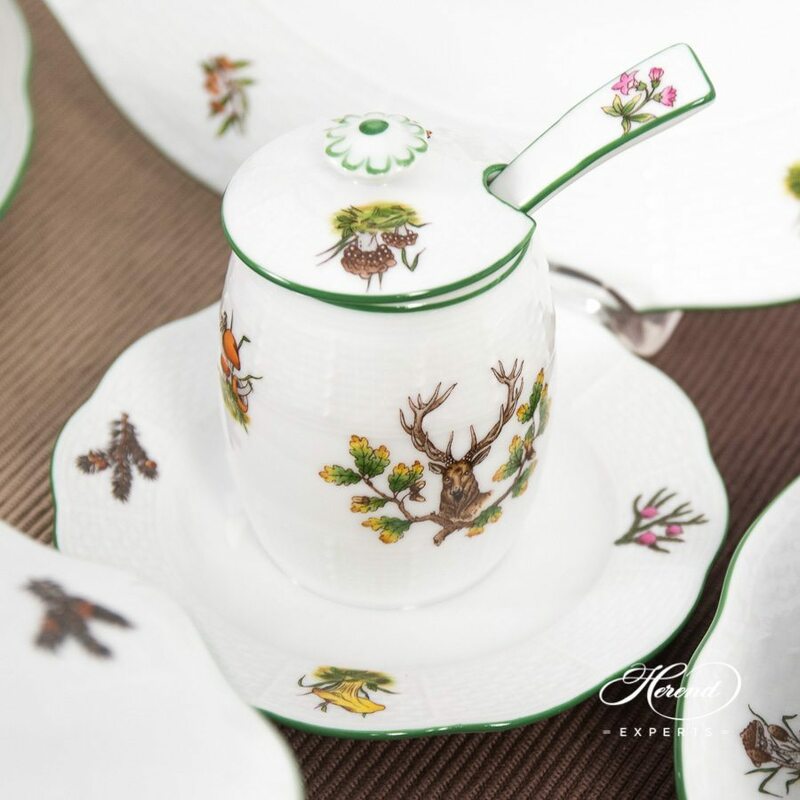 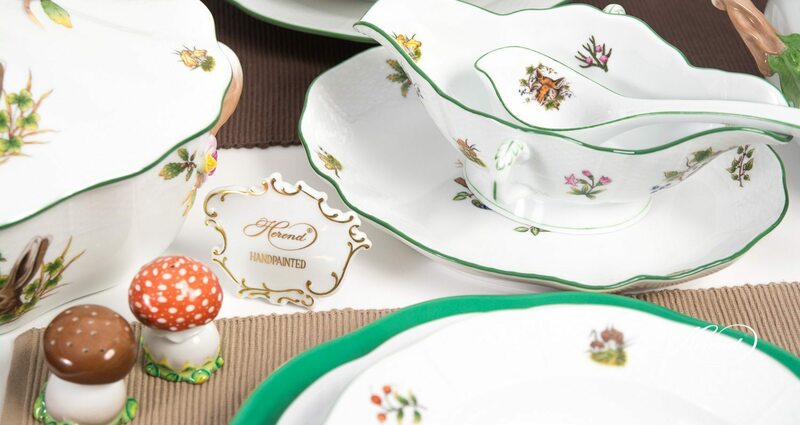 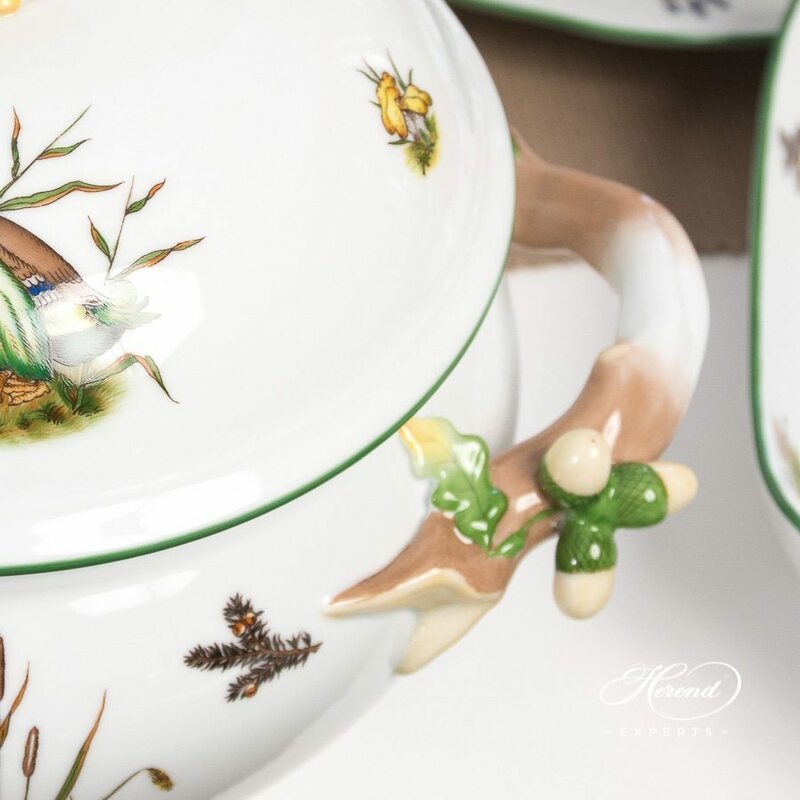 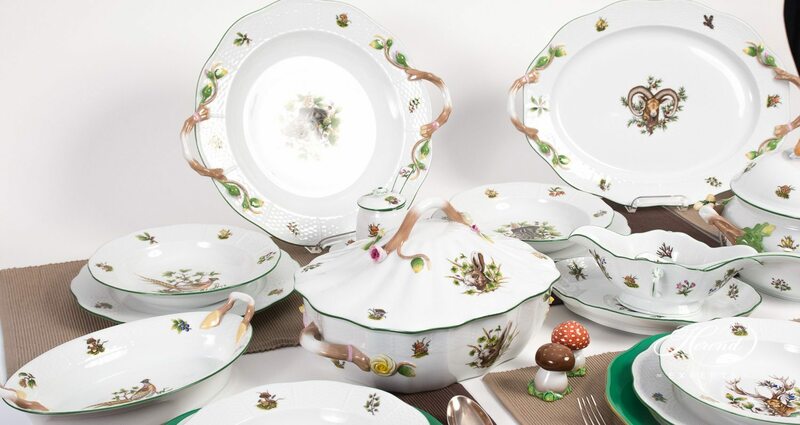 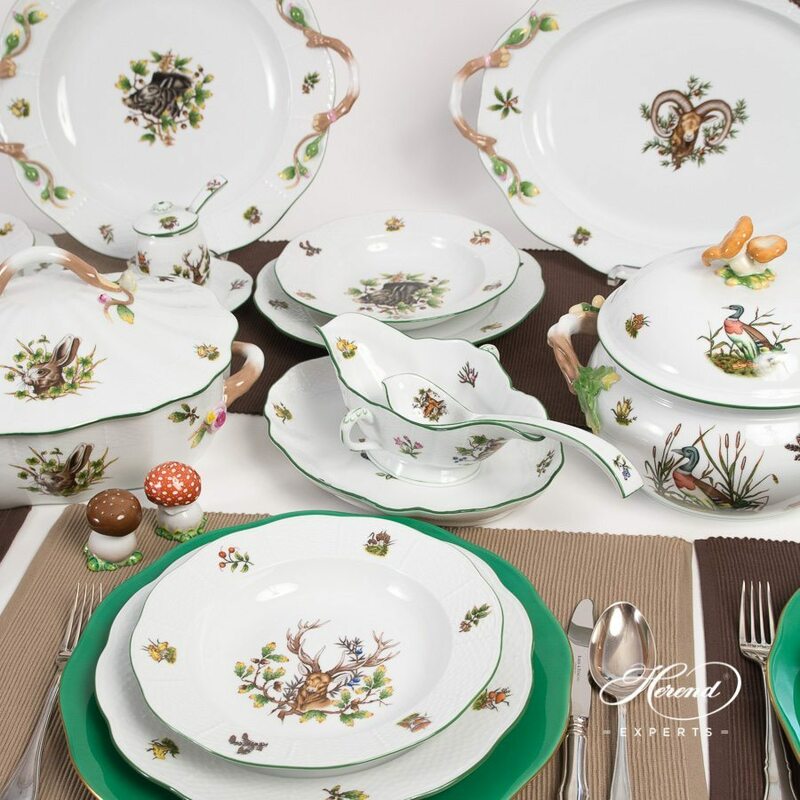 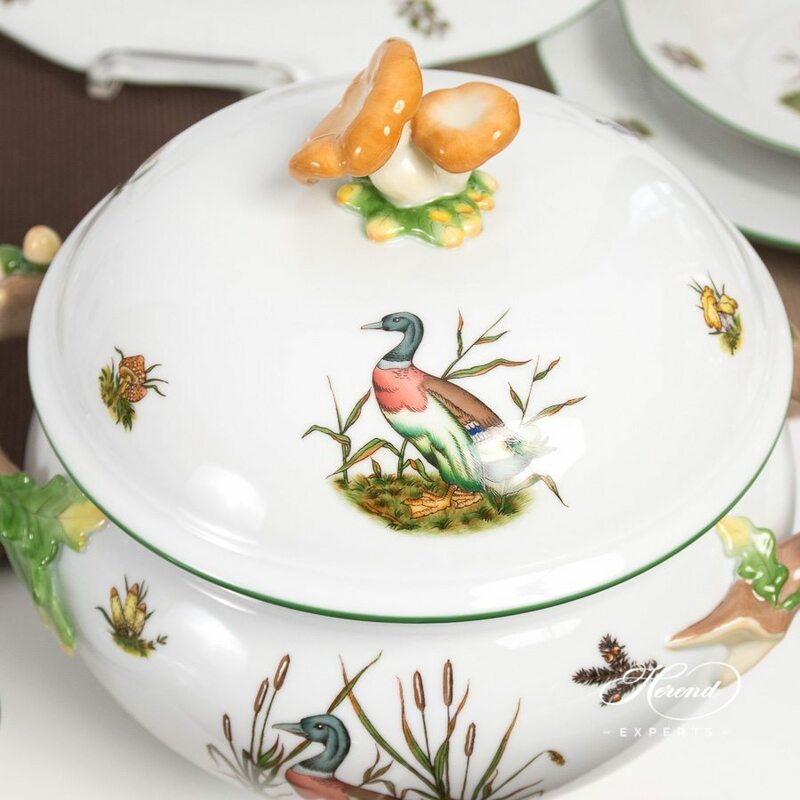 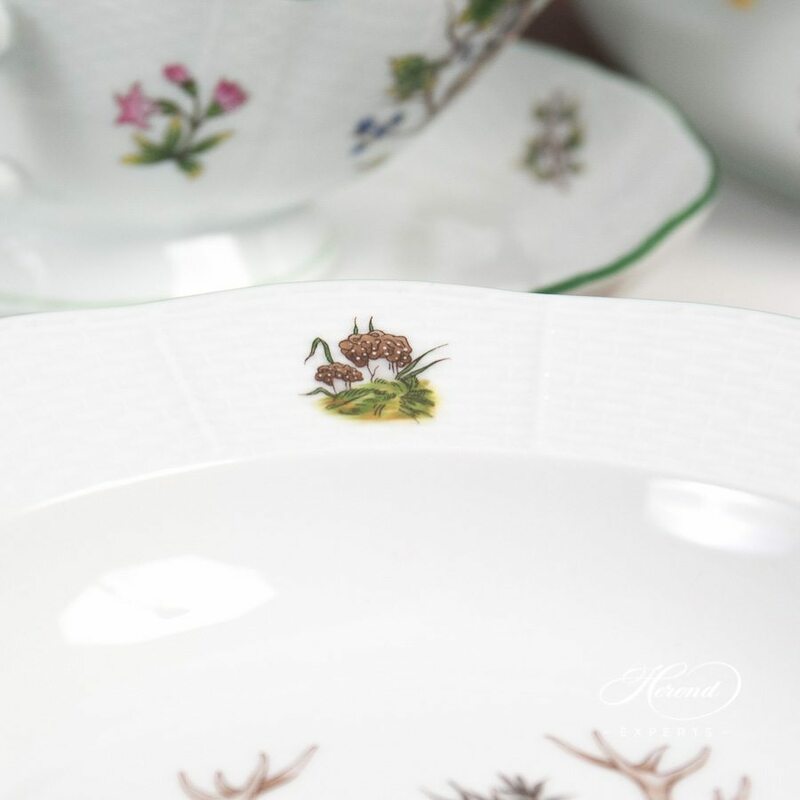 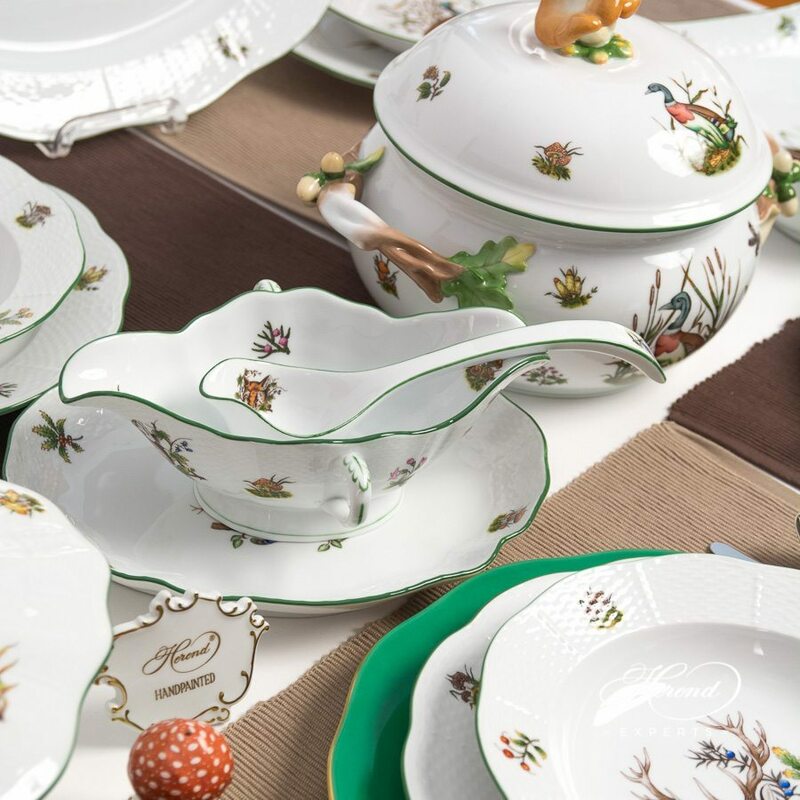 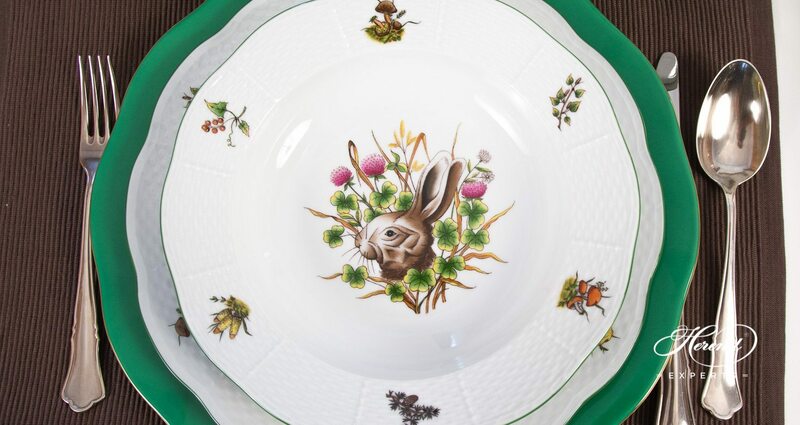 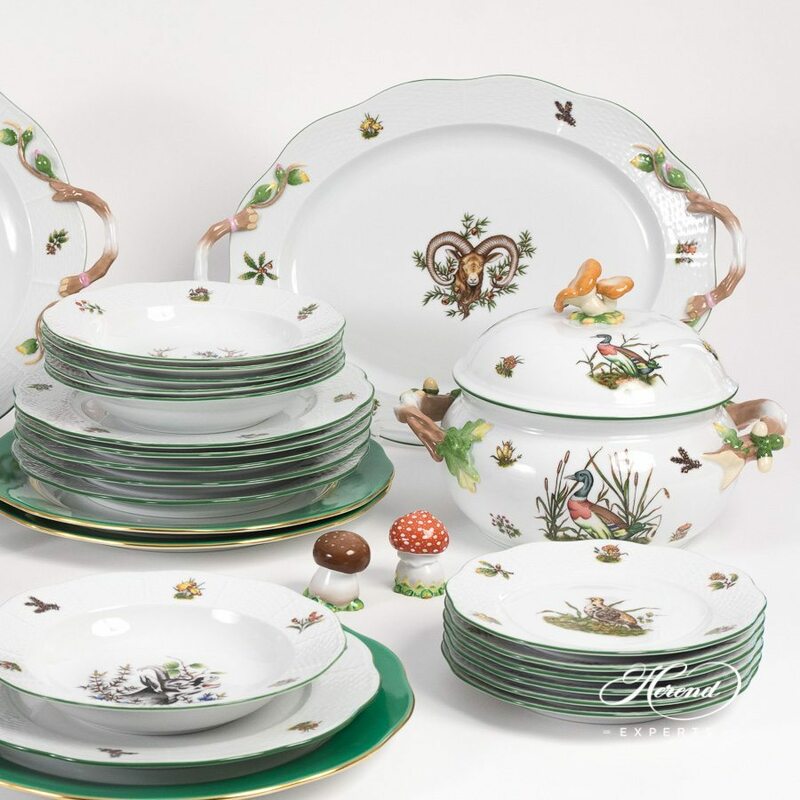 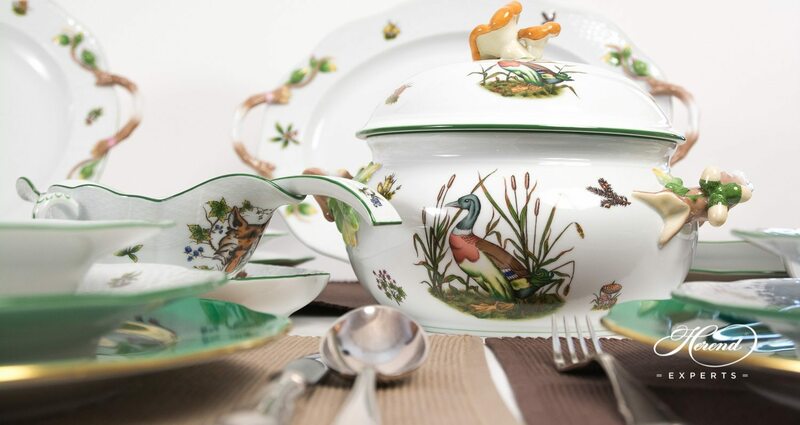 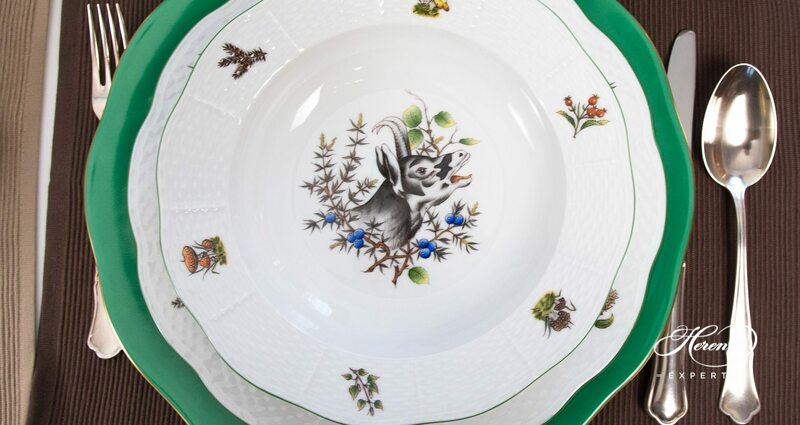 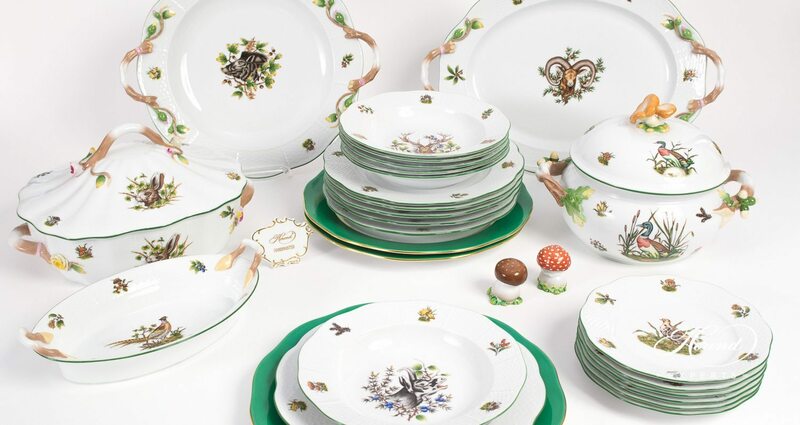 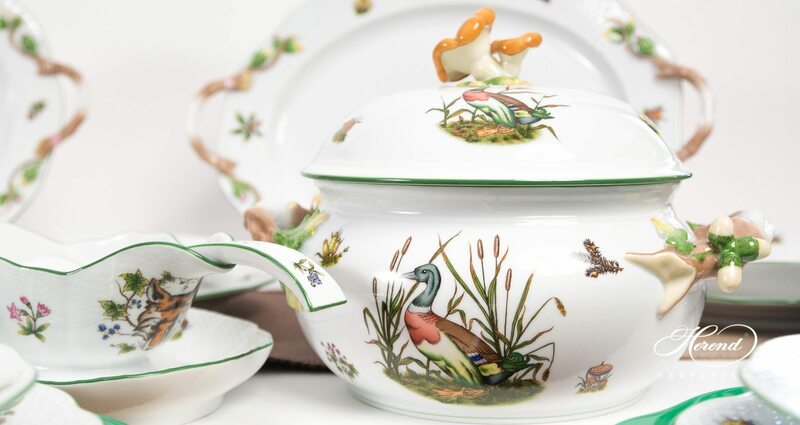 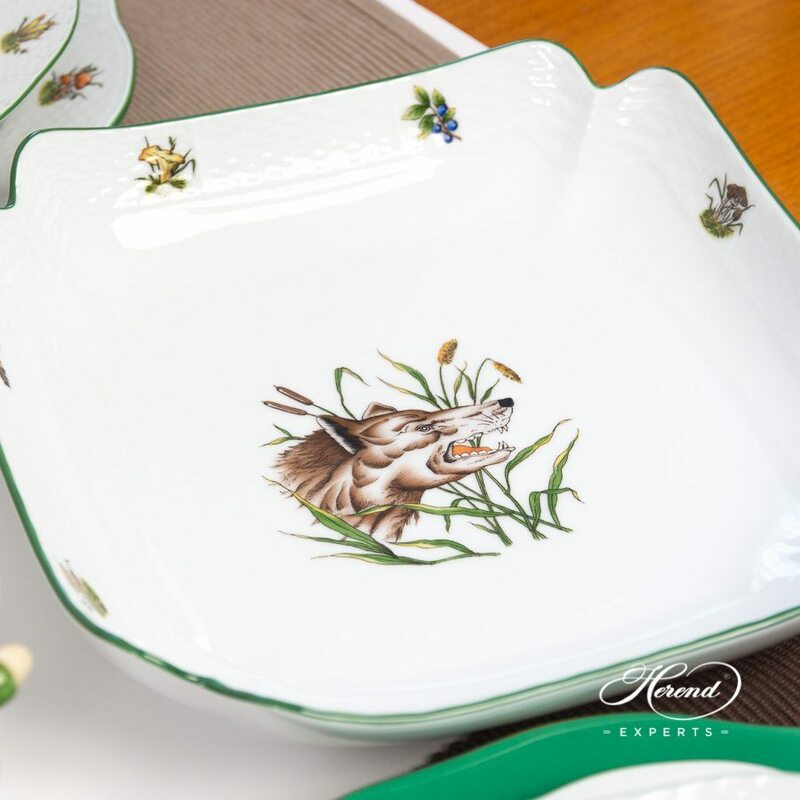 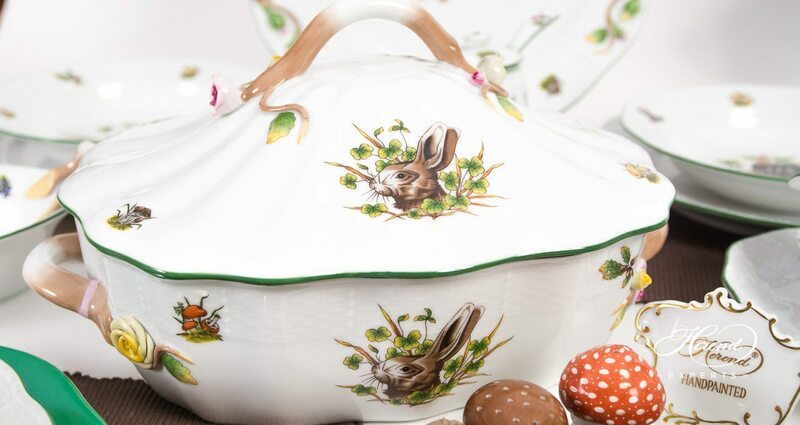 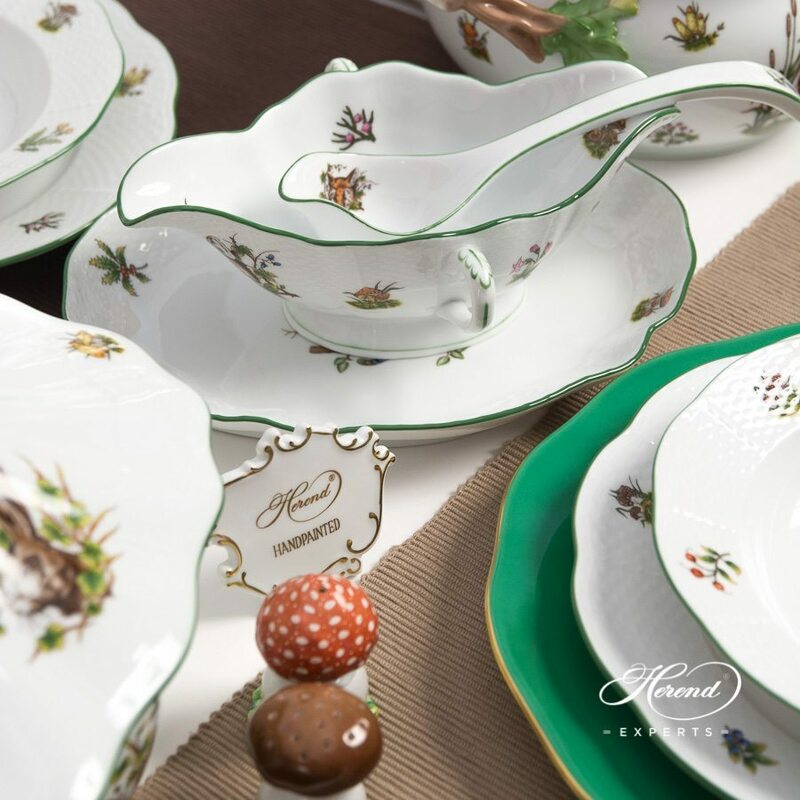 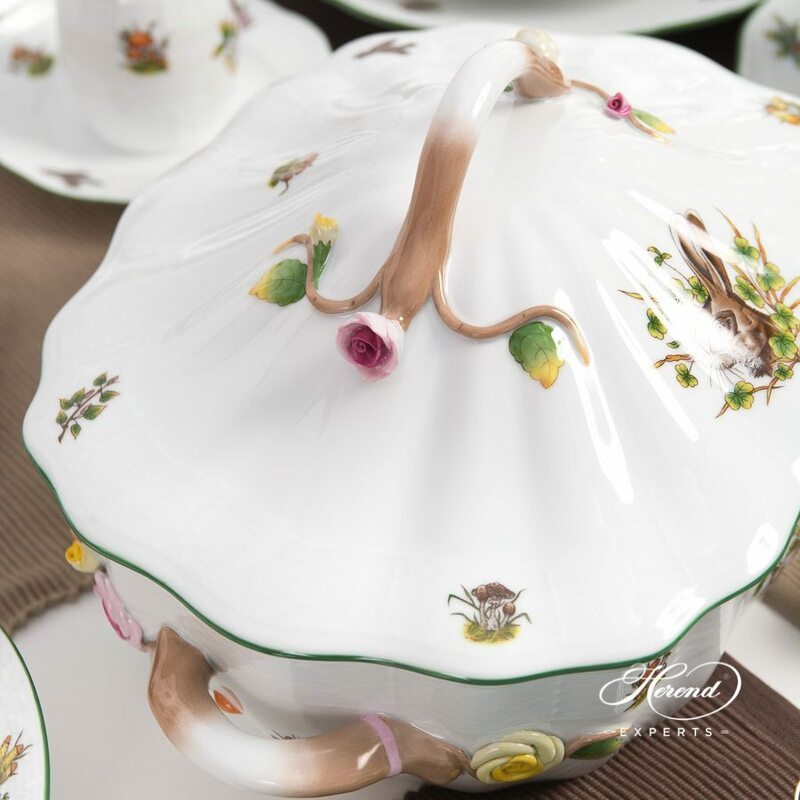 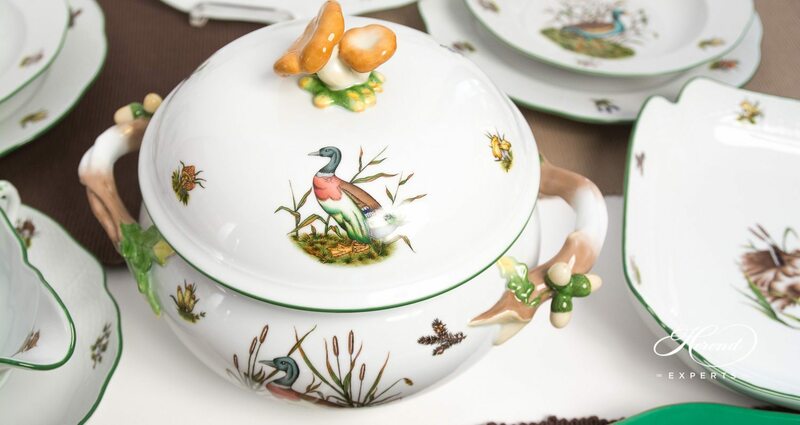 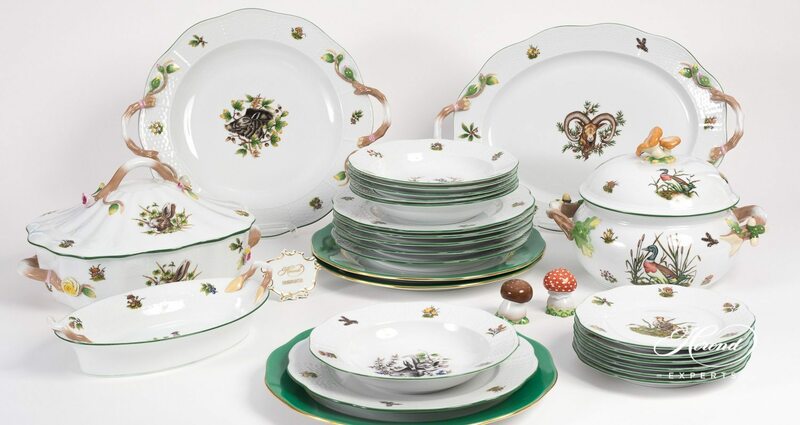 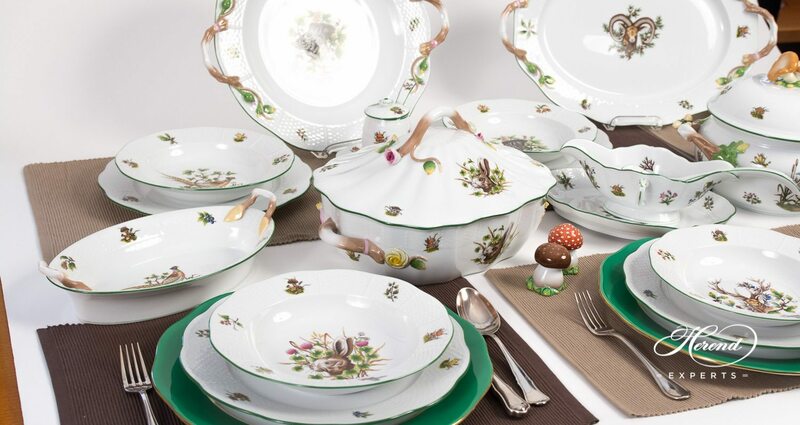 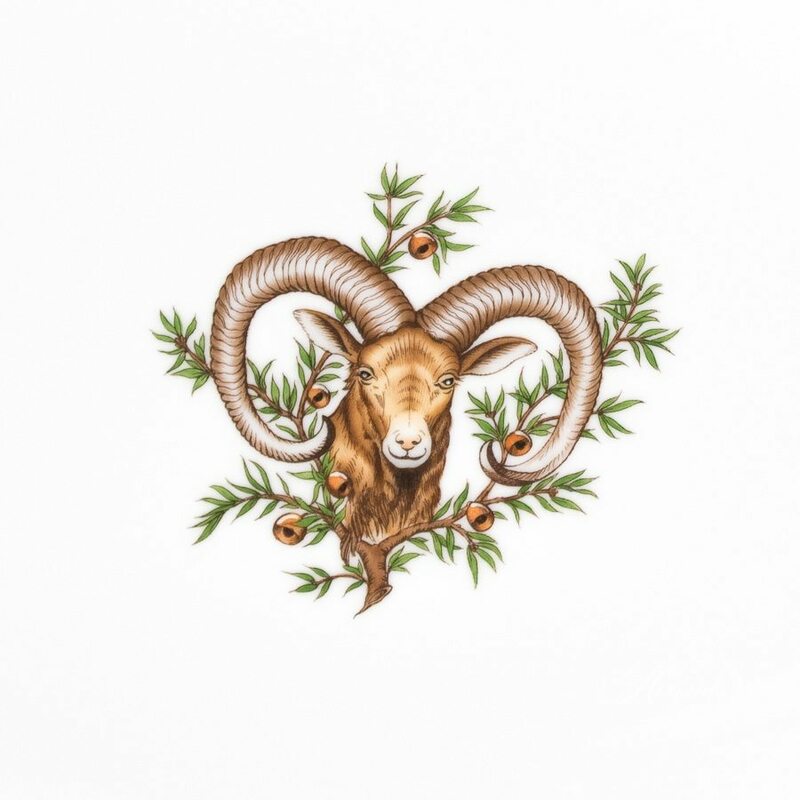 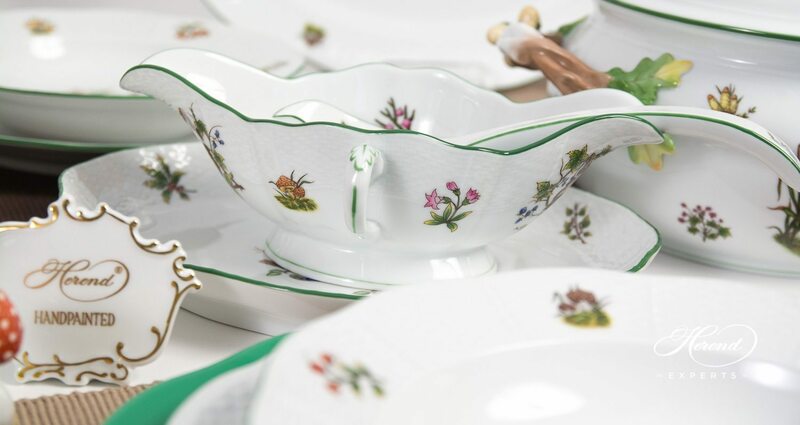 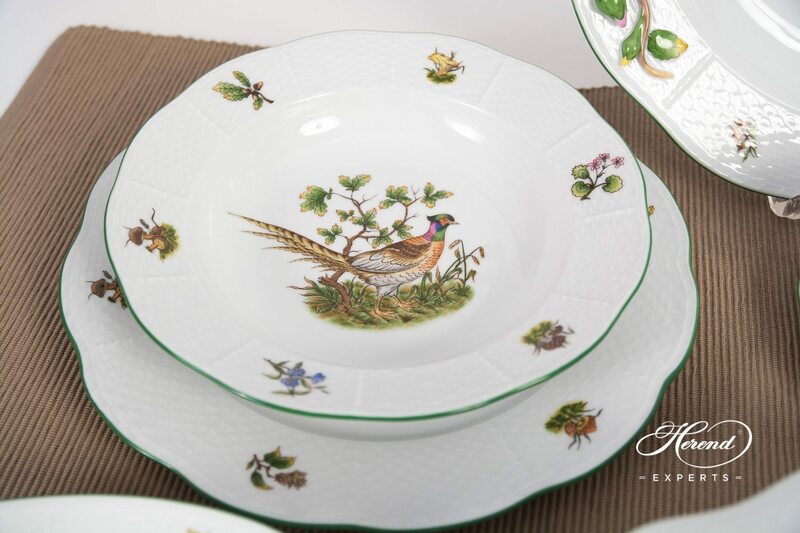 Herend fine china Dinner Set for 6 Persons - Herend Hunter Trophies CHTM design. 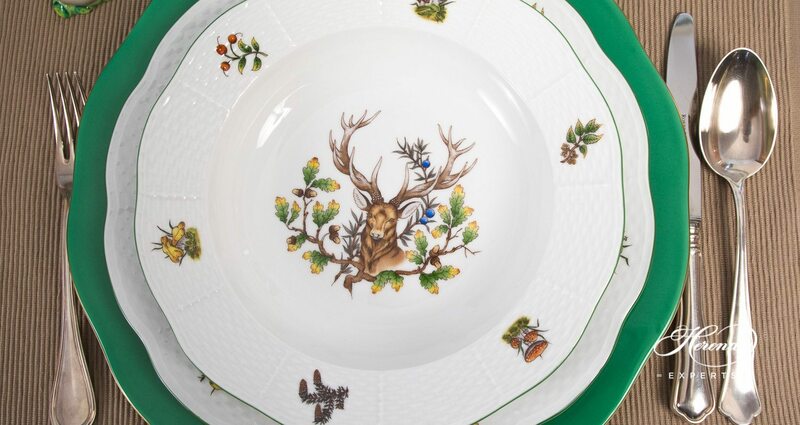 CHTM with Green Rim. 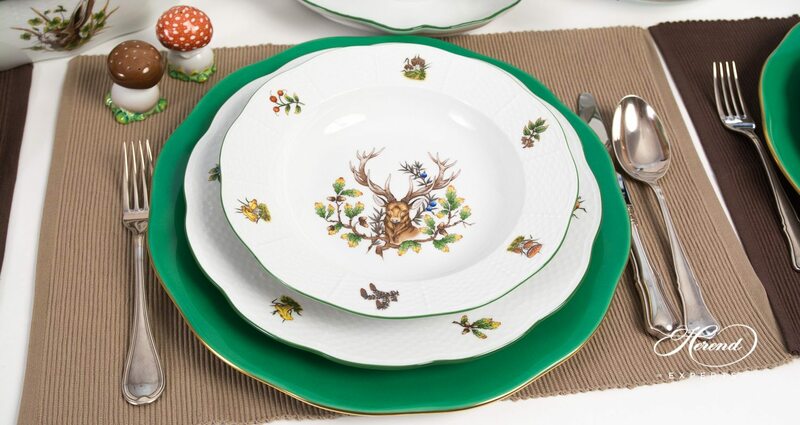 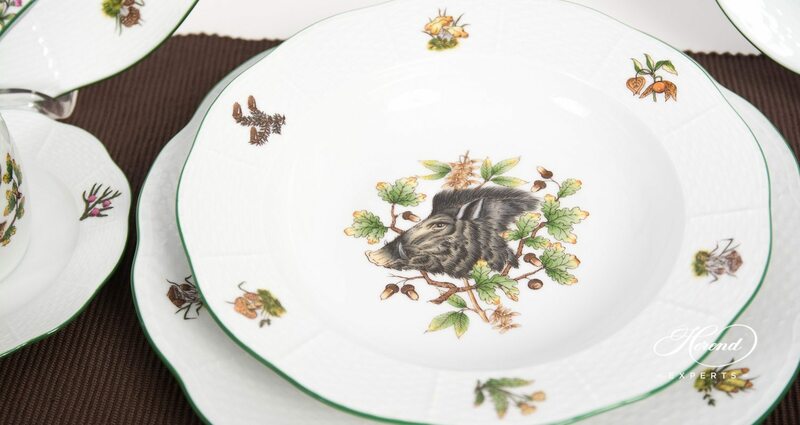 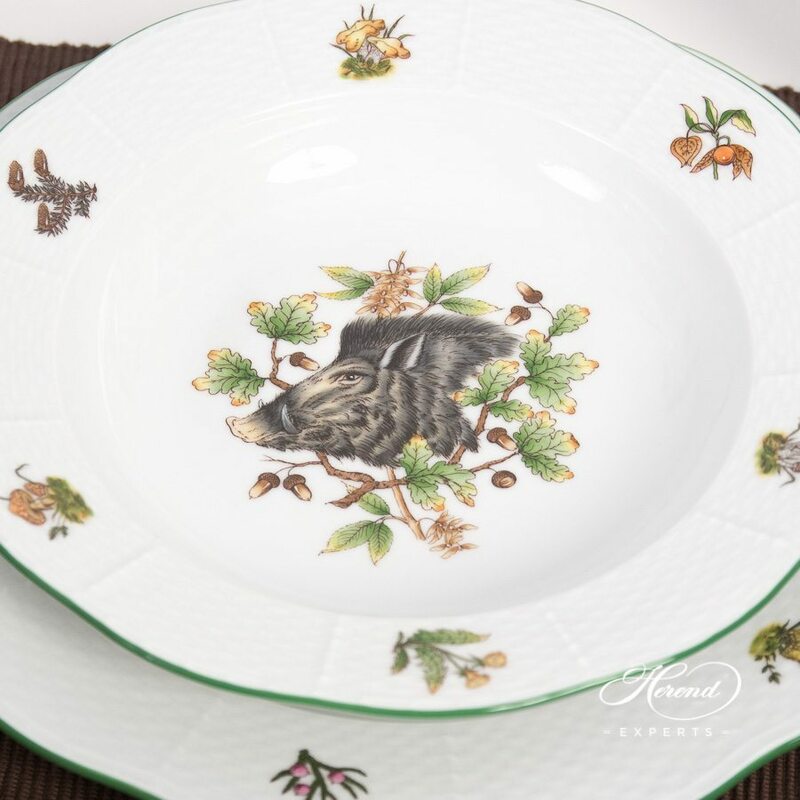 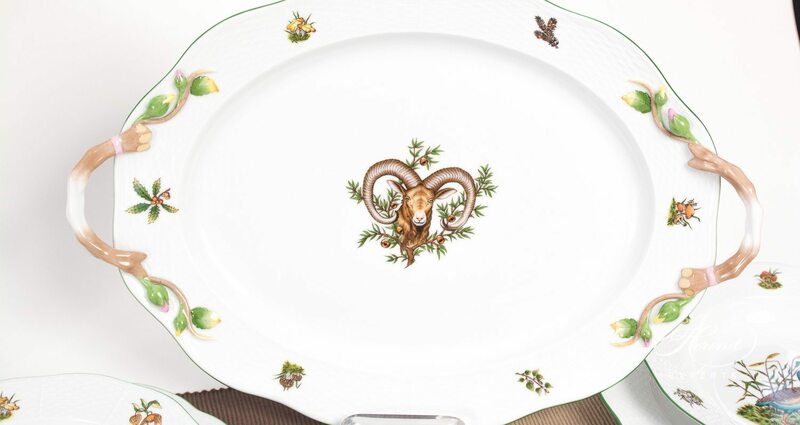 This pattern is painted with the famous Hunter Trophies design with green or gold rim. 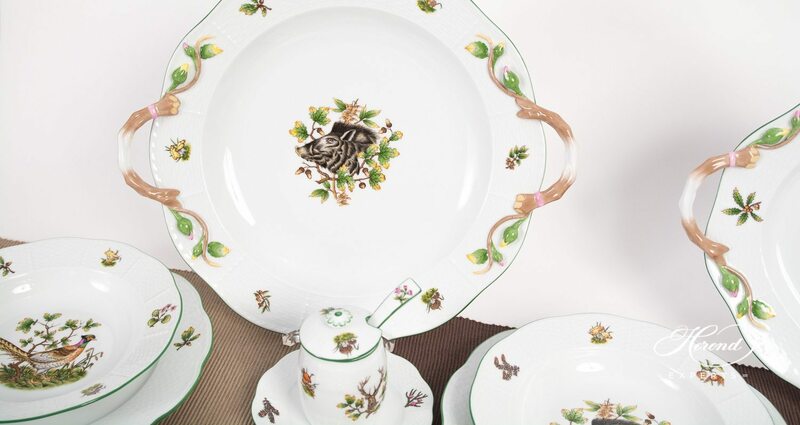 It is available with 14 different Hunter Trophies motifs. 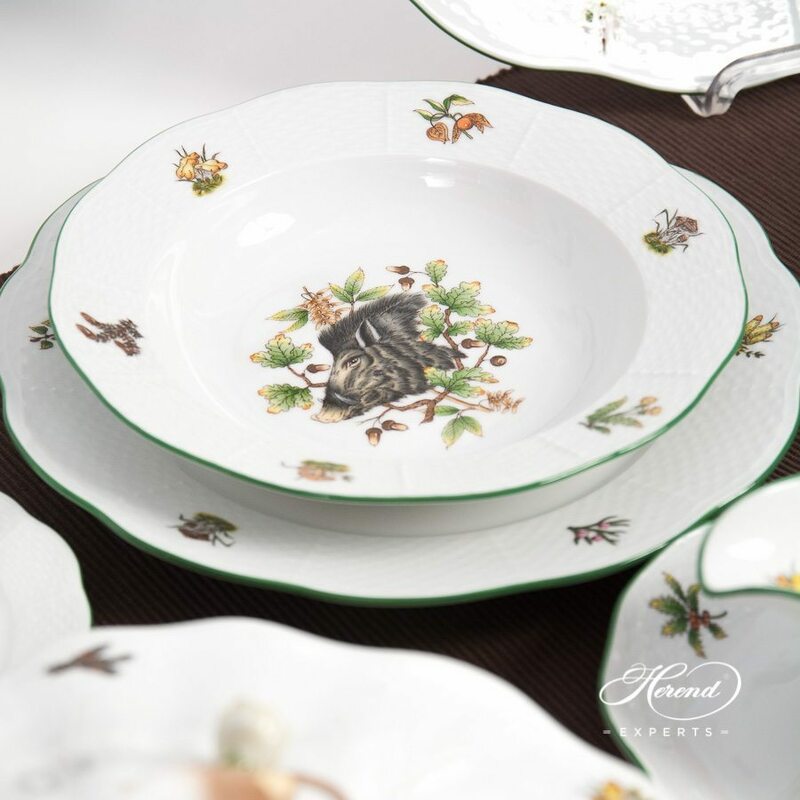 The Hunter Trophies CHTM design is available in Tea, Coffee, Espresso and Dinner Sets as well.